5 stars Excellent product! These fitted fine - I didn't expect to have to buy Large Horse size for my Arab, but they are a perfect fit and I am very pleased with them! Many thanks. 5 stars Excellent value and arrived faster than I expected! Many thanks! 4 stars Love these boots, quick and easy to put on. Only reason they don't get 5 star is that when it's wet the arena surface sticks to them and the velcro on the ligament support comes undone! Hard wearing and are good as new after washing. 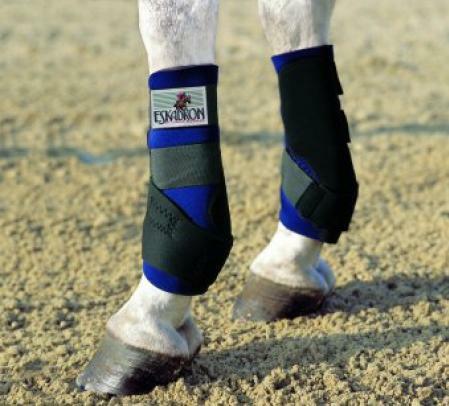 My horses wear them in the field as well as exercise and they ppear to be hard wearing.